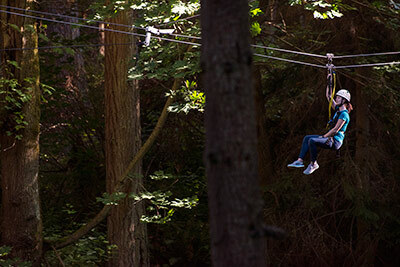 All through a stunning Pacific Northwest forest! 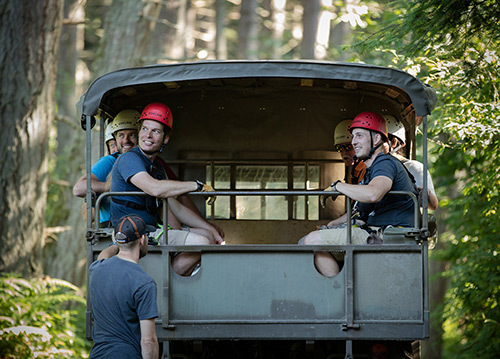 At Canopy Tours Northwest we’re excited to share our beautiful course with our guests. Built to last, it features fir and cedar platforms and double 1/2 inch zip cables. The two brief forest walks give a closer view of this incredible setting. 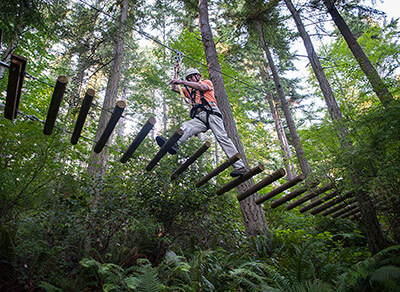 Wrap in the fun of the short log bridge and the dramatic final descent and you have an experience to remember. 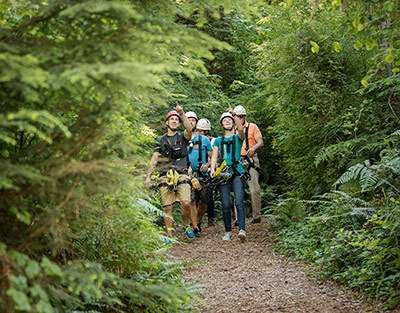 Check out our FAQ for additional information and be sure to watch the short tour video below for a great overview of the experience.